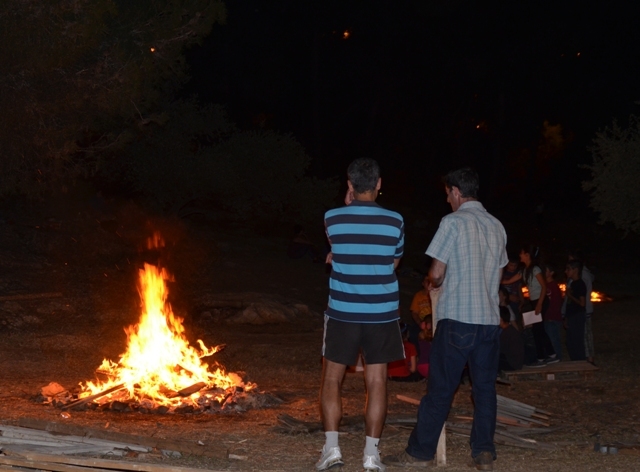 Lag Ba’Omer is Bigger, but is it Better than Ever? 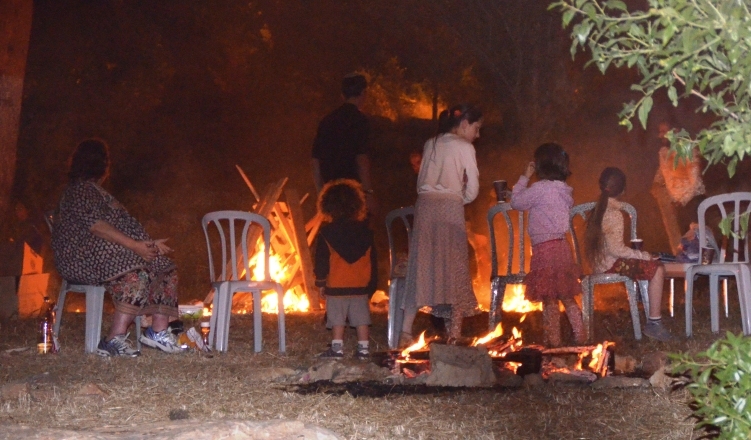 for Lag Ba’Omer is considered a major celebration. has become a day of weddings, bar mitzvahs and musical celebrations. has escalated to gigantic proportions in Israel. buses stopped running and many were stranded for hours. 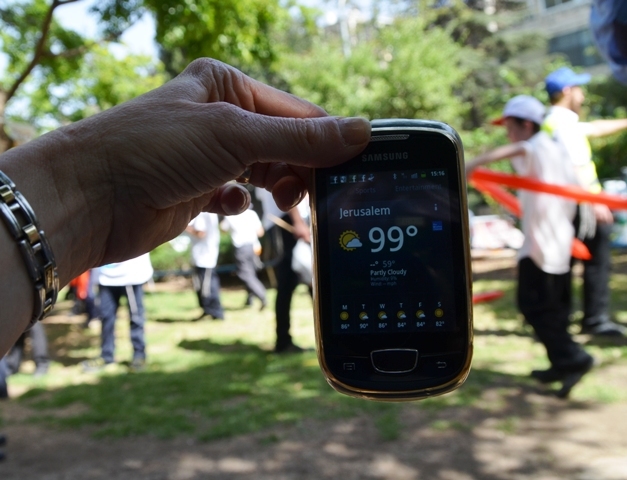 And, this year it was hot, really hot. 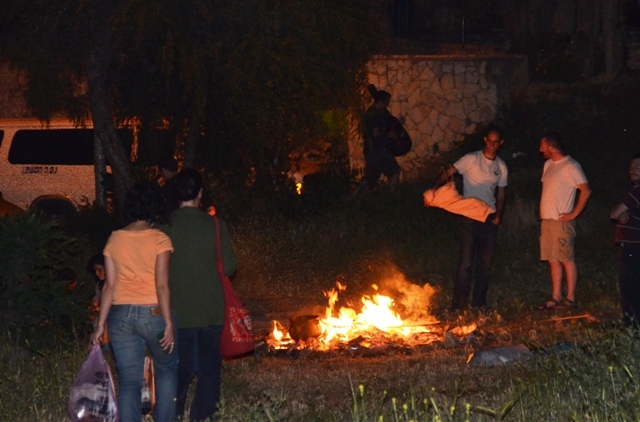 around large Lag Ba’Omer bonfires in religious neighborhoods. thousands of people lit medurot, bonfires. while others were large family gatherings. and every bit of collected wood, but were also used for cooking. This man used a long stick to remove dozens of cooked potatoes. 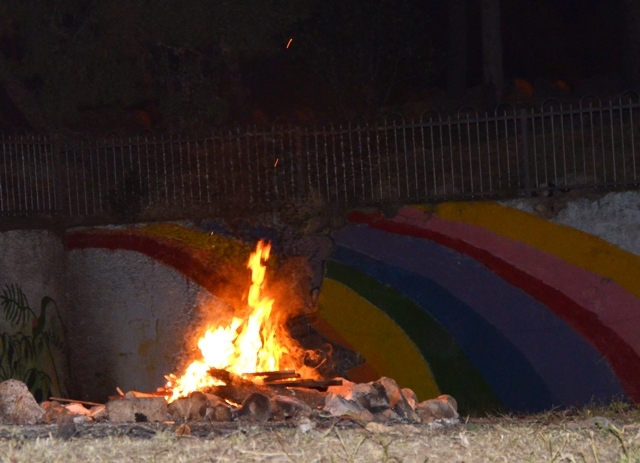 as heavy winds this year caused sparks to fly and clothes to burn. the low number of serious accidents is nothing short of miraculous. 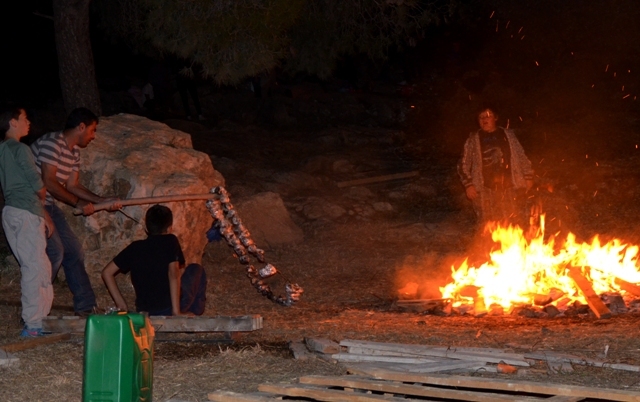 And this year we had two nights and two days for Lag Ba’Omer! said to wait and celebrate instead on Sunday night. So this year for two nights smoke filled the night air. As you might have guessed I am not a big fan of these hot, smoky nights. And school vacation was extended from one day to two days off! 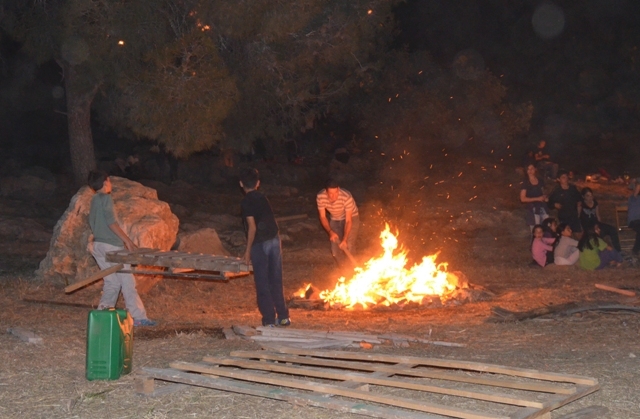 parents and children needed something to do on Lag Ba’Omer. 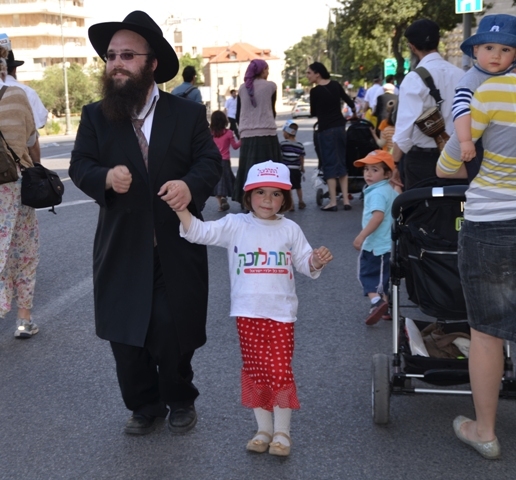 One activity was again organized by Chabad Rechavia. 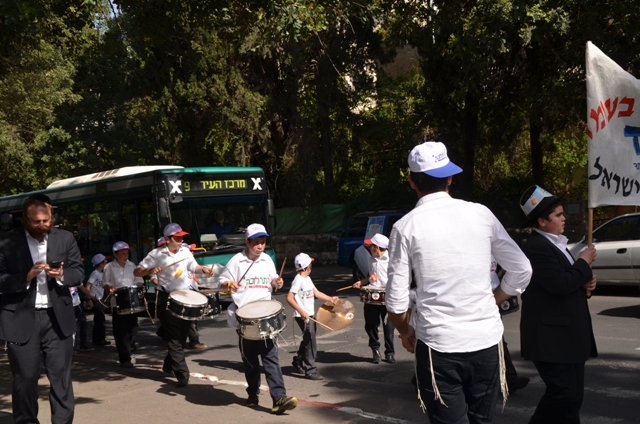 This year their parade stopped traffic on Ramban Street. marched to King George Street. 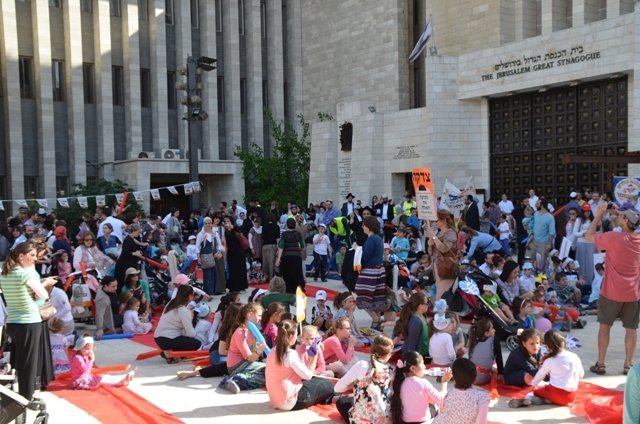 as they gathered in the plaza of The Great Synagogue for music. 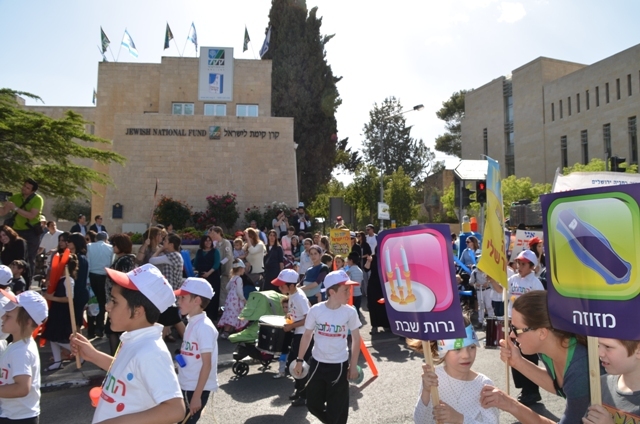 One small Lag Ba’Omer celebration, one small step. and I am not just saying that because the Rabbi’s mother is a fan. 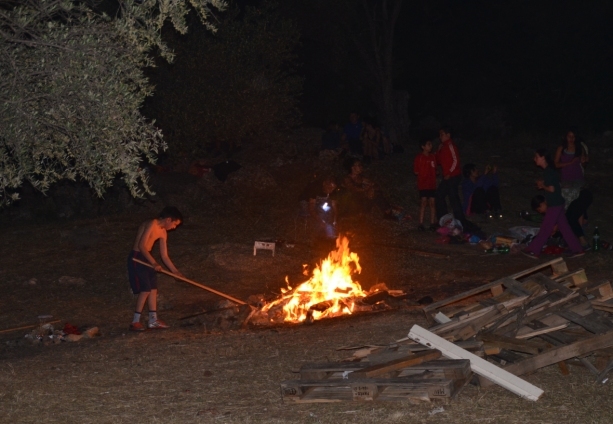 For Lag Ba’Omer, one medura, bonfire, night is enough for me. 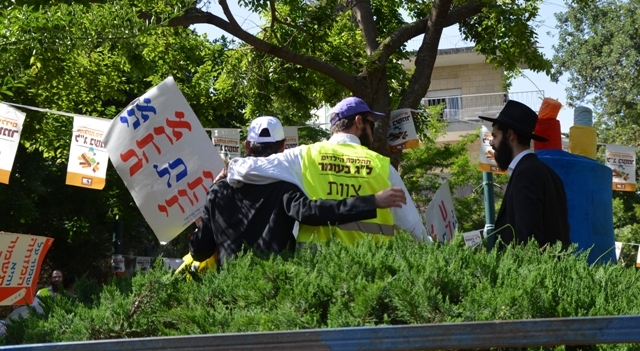 As I wrote in first post on Lag B’Omer, Jerusalem is a divided city, those who love the medurot and those like us who want to stay in with the windows sealed. 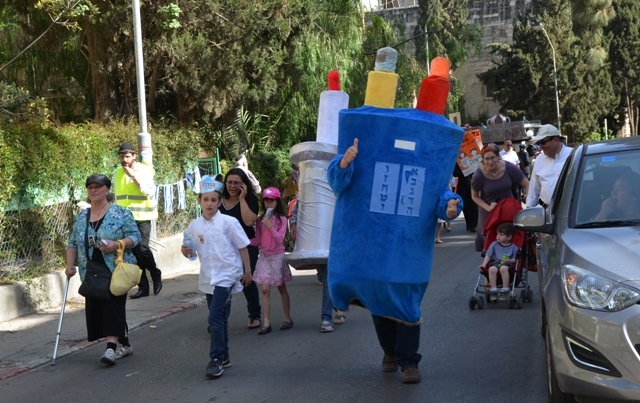 http://rjstreets.com/2010/05/03/lag-bomer-in-the-divided-city/ Maybe you have to be born in Israel to truly appreciate this holiday and its customs? 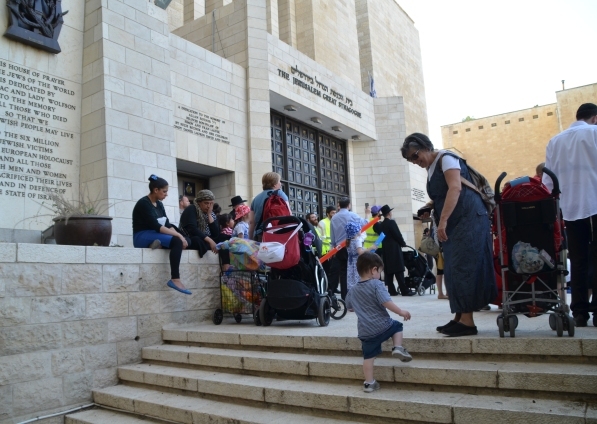 Your photos really take me back to Yerushalayim. I miss it so much! Thanks for the virtual view. Thank you, I saw all those “likes” so glad you liked all those posts, feel free to share with others. 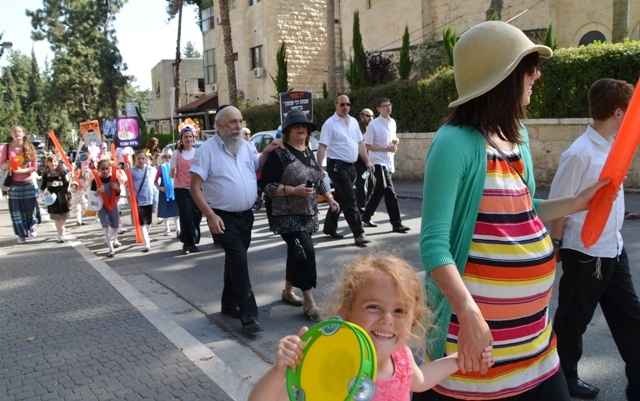 Everyone should know the real Jerusalem streets!